Sinn Fein President Mary Lou McDonald claimed the roundtable talks involving the five main Stormont parties and UK and Irish governments were only called to give a false impression that Northern Ireland Secretary Karen Bradley was proactively trying to resolve the impasse. 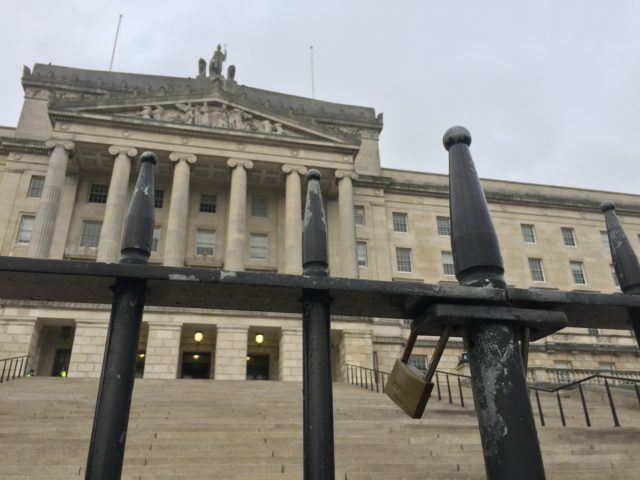 “We are open to any credible proposition to restore powersharing, but what we had today was not that,” Mrs McDonald said after the 90-minute exchanges at Stormont House in Belfast. Ahead of the meeting, DUP leader Arlene Foster laid the blame for the two-year political deadlock squarely at Sinn Fein’s door, accusing the republican party of holding Northern Ireland to ransom with unreasonable demands. “I think most people in Northern Ireland want to see us getting back in to deal with all the issues that affect them in their everyday lives, instead of dealing with very narrow sectional issues,” she said. Friday’s meeting came two years after the last DUP/Sinn Fein-led coalition imploded amid a row over a botched green energy scheme. The latest discussions involved Mrs Bradley, Ireland’s deputy premier Tanaiste Simon Coveney and the leaders of the five main parties. They ended, as expected, without a meeting of minds on any of the outstanding issues. Mrs McDonald said the two governments had failed to put forward any “credible proposition” to navigate a way of out the impasse. “It is a disgrace that for two years we have not had our powersharing institutions,” she said. “We have established again that, without a shadow of doubt, the DUP remains wedded to an agenda of denial of rights. Flanked by party colleagues in the Great Hall of Parliament Buildings, Mrs McDonald added: “There is a point at which honesty has to enter into the equation and for the Secretary of State to call a meeting to give the impression of action, when in fact the reality is one of inertia, is that helpful? “We don’t believe that it is. We want more than that. The republican leader continued: “We are open to any credible proposition but we will not participate in anything that amounts to a sham. Mrs Foster called on Sinn Fein to get “serious” about restoring the institutions. 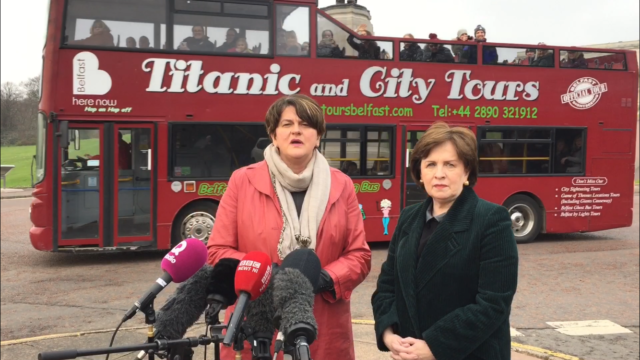 “We need devolution back in Northern Ireland,” she said as she arrived for the talks with party MEP Diane Dodds. “It should have been back in after March 2017, after that election. Mrs Foster reiterated that her party would go back into devolved government immediately, insisting the outstanding political disputes could be resolved in parallel. Many believe the prospects of an imminent return to powersharing are bleak, with the crisis seemingly in drift as political attention focuses on Brexit. Mrs Foster said that did not need to be the case, insisting the Brexit process should not be a barrier to restoring powersharing. “I don’t think Brexit should prevent us from having a government in Northern Ireland,” she said. The DUP leader expressed hope that there would be a Brexit deal before March 29. “We want to see a deal in relation to Brexit because we believe a deal that works for the whole United Kingdom and one that deals for the European Union is good for everybody,” she said. On Brexit, Mrs McDonald said: “Brexit sets the scene and the tone for everything that happens now in Irish politics.